For telecommunications and electronics provider, Vita Group, use of LinkedIn has become a core part of its sales process methodology. The company has embraced the concept of ‘social selling’ by using LinkedIn’s to build the brand of its salespeople and seed ideas into the minds of clients early in the sales cycle. Vita Group’s digital marketing manager, Sacha Hughes, says the company commenced using LinkedIn’s Sales Navigator tool for its Enterprise Solutions Group with 17 sales people and additional senior leaders in January. Sales Navigator includes a number of features that enhance the regular LinkedIn tool, assisting to uncover potential leads and updates about prospect companies and identify links between prospects and colleagues. 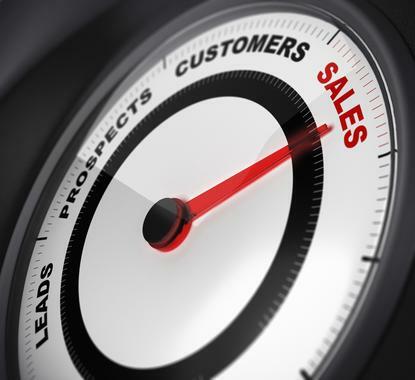 She says Sales Navigator also helps salespeople gain insights and news about potential leads. “We want to work with our customers and make them feel that our people really understand their business and can really offer some valuable solutions to their business,” Hughes says. Vita Group has also embedded LinkedIn into Salesforce.com. “When staff are looking at a customer it is helping them see who else they might know at that company and other things they need to know about that company,” Hughes says. Hughes says the introduction of Sales Navigator has been strongly supported by Vita’s marketing department, which sends weekly email bursts to the sales team containing relevant content for salespeople to share, while improving their profiles with better quality information and photography to help improve their personal brands. While Vita’s typical enterprise sales cycle of six to 12 months makes it difficult to determine the revenue uplift so-far attributable to Sales Navigator, Hughes has been pleased to see a 20 per cent increase in the team’s Social Selling Index (SSI) score, which measures performance against professional branding, prospect identification, audience engagement and relationship building. Using the Social Selling Index also enables Hughes and her colleagues to pinpoint those areas where sales team members need to lift their game. Hughes says social selling also aligns well with the Challenger sales methodology adopted by the company in late 2015, which seeks to engage clients much earlier in the sales cycle. One method of achieving this is to raise ideas that lead to new sales opportunities, such as through informing clients of business performance improvement opportunities they might have otherwise not know about. Hence publishing news and other content in a salesperson’s LinkedIn feed is one method of getting these ideas in front of potential buyers. “Our sales people are really there to enable and teach our customers how they can better their business,” Hughes says. “It is important for us to have that relationship with customers really before they know they need it, at that pre-awareness stage.